Myelinated fibres constitute a functional entity between neurons and glial cells dependent on continuous reciprocal metabolic exchange. Myelination is a multi-step process that is controlled by axonal signals and involves glial polarisation, targeted myelin membrane expansion and the assembly of specialised membrane domains. Axonal functionality and long-term integrity in turn depend on glial functions and the orderly formation of glial membrane domains. We aim to elucidate the mechanisms of reciprocal axon-glia interaction and myelin morphogenesis, that we consider essential to conceive and confront pathology of myelin diseases, such as multiple sclerosis and leukodystrophies. We are investigating the molecular machinery of oligodendroglial membrane traffic and the mechanisms of its control. 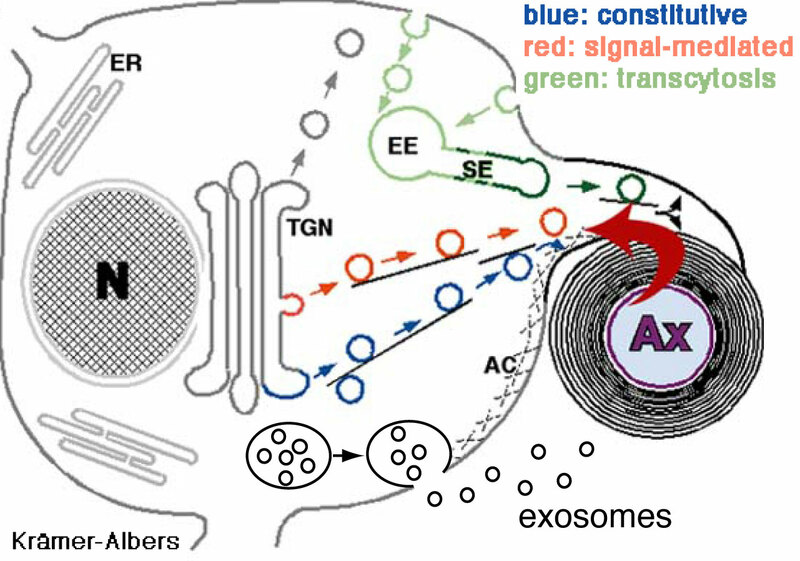 Furthermore, we are studying the secretion of oligodendroglial exosomes and their role in axon-glia interaction. pathways involving endocytic sorting and recycling. Fusion of multivesiclular bodies with the plasma membrane results in exosome release. 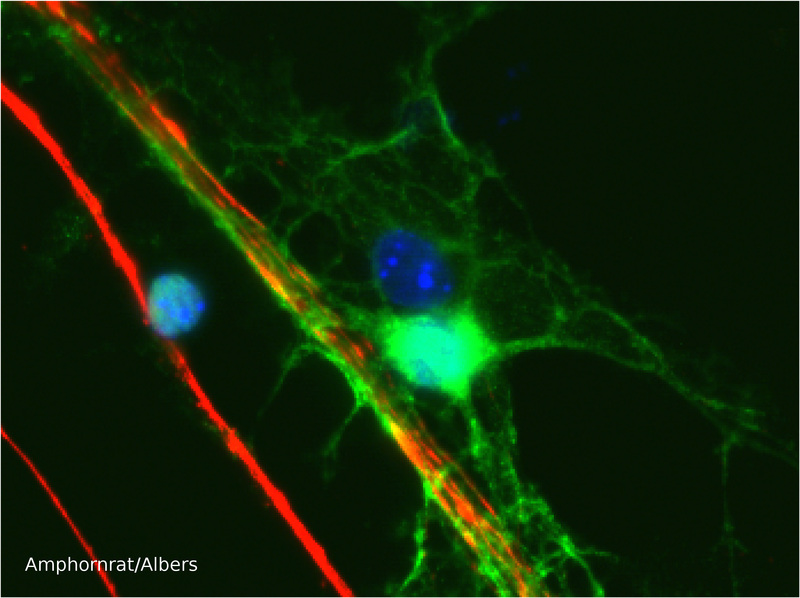 (Right picture) Coculture of myelinating oligodendrocytes (green) and neurons (red) utilised for studies of myelination in vitro.